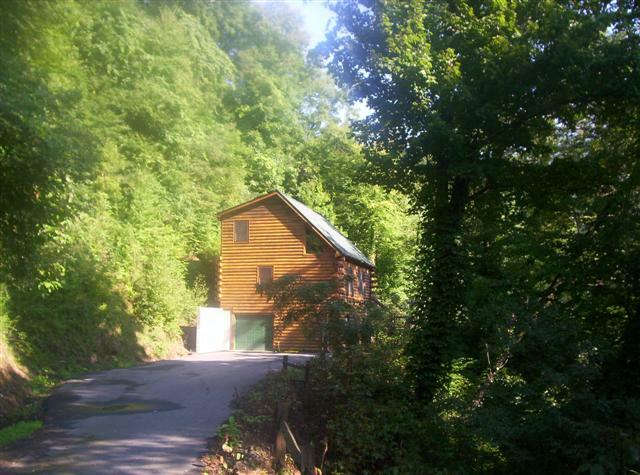 This charming smoke-free cabin, nestled in the mountains of the Maggie Valley Country Club at an elevation of 3500 feet is so easily accessible yet away from the everyday stresses of life. You will enjoy tree-mendous views while soaking in the hot tub. Each level has a bedroom and bathroom, the lower level has a private entrance. There are games, DVDs, VCRs, CDs puzzles and books for your enjoyment. The cabin has central air & heat and ceiling fans throughout and the kitchen is fully equipped to whip up your favorite meals. One could spend months enjoying all there is to see and do- the Blue Ridge Parkway, Great Smokey Mountain National Park, Cherokee and Gatlinburg & Pigeon Forge Tenn are only minutes away. We assure you that you will love Bearadise as much as we do and will want to return again.